By Isaac Cohen, for Edwardsturm.com. In the early 1990s, JNCO, our company, made a name for itself creating ultra-wide legged denim jeans that made a splash all over North America. The look was inspired by everyday street style in Los Angeles, and has grown a committed fan base since; a strong collection of supporters embracing the best of SoCal street and skate culture. After being virtually dormant for a little over a decade, we began feeling a resurgence – like the fans were ready to bring JNCO back! 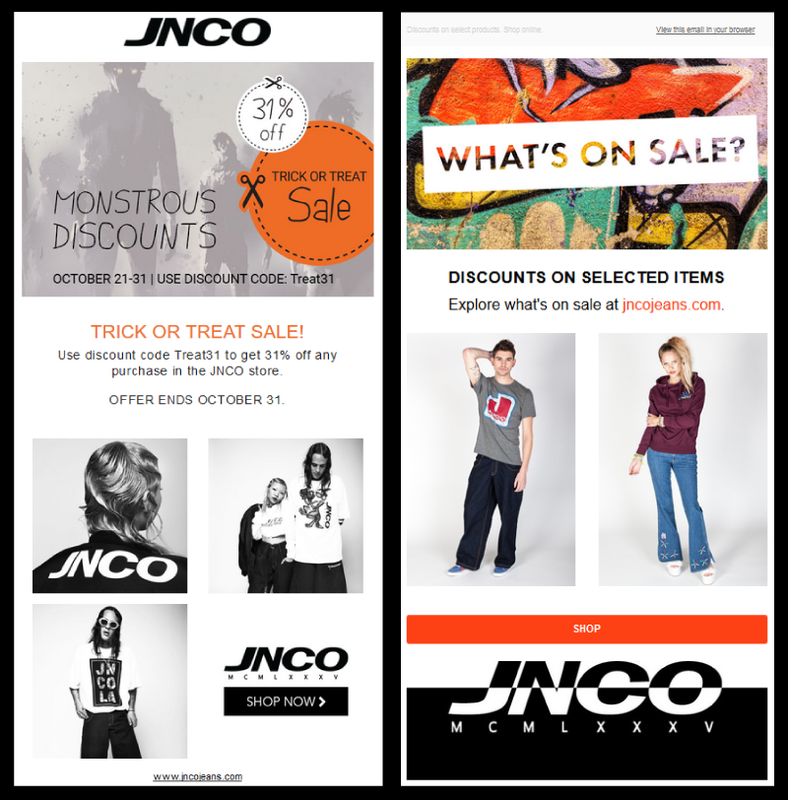 So, in 2015 we began working on the relaunch of a brand new JNCO apparel line. During this relaunch phase, we knew it was key to reconnect with our fan base as well as open ourselves up to a new audience. In order to achieve this mission, one strategy we implemented was to launch a newsletter to drive traffic to the site, alert customers of upcoming sales and new products, share blog posts, and so on. Many people argued that sending out newsletters wouldn’t be worth our effort. Their belief was that it would be time consuming, expensive, wouldn’t provide enough of a return on investment or direct enough attention to the launch to be worth the pursuing. However, our experience has proven the opposite. Newsletters are versatile and an inexpensive way to reach out to your audience and deliver a targeted message – assuming you have a targeted message to deliver. Don’t bother your audience with I-don’t-know-what-to-say-but-I’m-sending-you-a-message-anyway content; all that will do is increase the number of people that hit “unsubscribe”. Emails are direct and measurable: Through an email campaign, you can track who has opened your message, when they opened it and how often they viewed it. You can see what email client they use, when they engaged with your content, and what links they’ve clicked on. Emails can be customized easily: You can segment your recipients to communicate more directly with your customer. 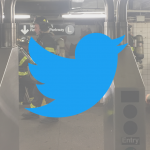 Rather than guessing which call-to-action and what content resonates best, this option allows us to craft a message to them based on their previous engagement and preferences. Emails are what people want: As made evident in Adobe’s August 2015 email marketing study, 63% of customers prefer to receive promos and offers through email before social media and your brand’s app. Give them what they want! Despite the popularity of other types of communication – from Snapchat, to Facebook, to Google Ads – email marketing is still a strong pillar of any successful business, whether the company is a local mom-and-pop shop or an international multi-million dollar enterprise. Email marketing isn’t going away anytime soon, if you ask us. A newsletter is a great way to stay top of mind, but it has to be done properly to avoid getting sent to the spam folder. You need golden content and an enticing subject line to get your recipient excited. Content and subject lines go hand-in-hand. To help you get it right, we’ve compiled a few of our best practices when it comes to email campaign polishing. To develop the perfect newsletter recipe to grow our audience, we coordinated with our digital marketing agency to build a strategy for newsletter sign-ups. We offered a 15% discount to new subscribers in order to incentivize sign-ups. We A/B tested a number of different CTA options, including a “Join” button at the bottom of the page, a pop-up that appeared after 10 seconds on the home page, and a call-out in the header. 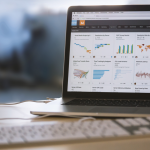 We conducted user testing to collect data on user behavior and preferences regarding sign-ups. We also promoted the newsletter on our social channels. As for the newsletter itself, we once again coordinated with our digital marketing agency to determine the newsletter design. We release a newsletter monthly in addition to sales newsletters as needed. If you are running a promotion that your competition will be involved with, like Black Friday or Cyber Monday, send your newsletter out first thing in the morning (6AM) to make sure you are one of the first things your customers see when they wake up. Send out reminder emails throughout the campaign – at the least, one at end and one at beginning. If the sale runs for longer than 4 days, send a reminder email midway through campaign. Upon the implementation of our new strategy in November 2015, we grew our subscriber list from 765 to 1,935, a growth of more than 150%! Our subscription numbers continued to climb steadily, and we now have over 8k subscribers and counting – growth of more than 1000% in less than a year. We consistently have open rates above the industry average and during the Fall 2015 holiday season, our click-through rate (CTR) was nearly 20%. Remarkable! The great thing about email marketing is that you can have fun with it! Try out different styles and track what works and what doesn’t, then continue to refine your strategy as you go. 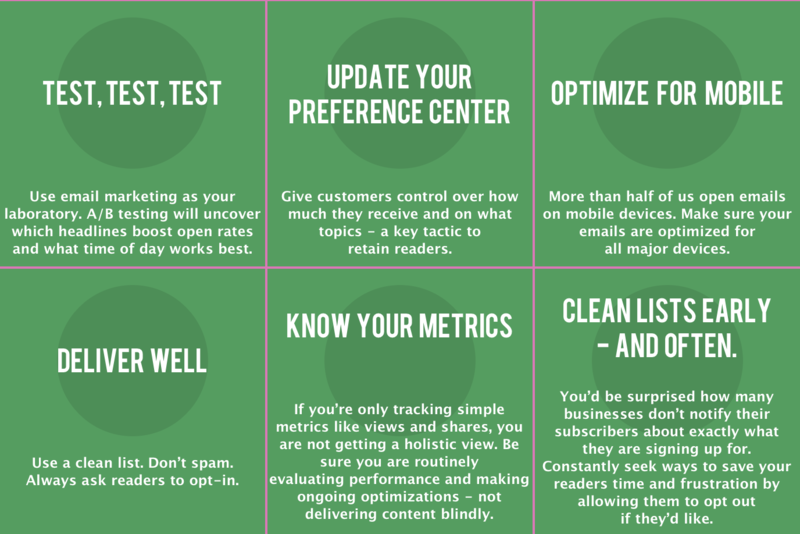 The above tips should help you to develop an email marketing campaign that grows your audience and helps build your business to new heights! Isaac Cohen is the Chairman of JNCO. 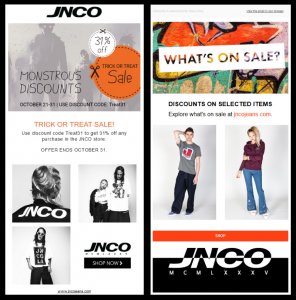 JNCO is a leading LA-based apparel brand specializing in quality denim and bold graphic tees. JNCO was an international sensation, made popular in the 90s and revived again in 2015 thanks to its comfortable wide-legged jeans and non-conformist philosophy that represented the best of SoCal culture.